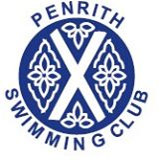 Your Club Needs You... Penrith Swimming Club is run entirely by volunteers and without them the club would cease to exist.We would like every member to contribute in some way to the running of the club; many hands make light work and a better club. If you feel you can help in any capacity let us know. By emailing [email protected] The more people the better the club will run. We can do more for the swimmers and for the club with the right structure in place. Once again THANK YOU to those that do help as training, galas and events at all levels could not take place without coaches, teachers and the many poolside helpers and officials who give their time so generously.